Mechanically, a rising forward curve and rates that never rise means you earn a lot of money in long term bonds. 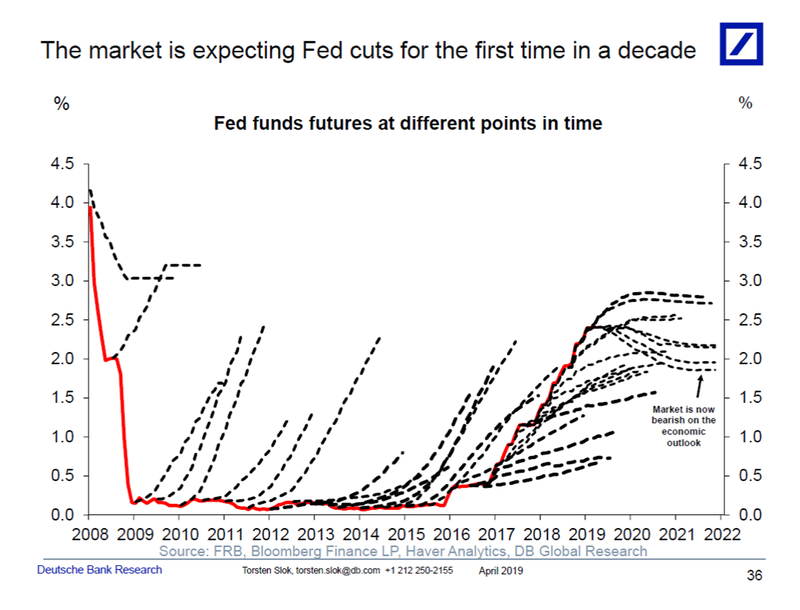 It's a "risk premium" Monika Piazzesi and Eric Swanson point out this pattern is common. The same pattern holds in longer term bonds, as well known since Fama and Bliss. An upward sloping term structure indicates higher expected returns on long term bonds, and vice versa. And it makes some sense. In recessions, people don't want to hold risks, so we expect a premium for riskier assets. In booms, as interest rates rise, people are more willing to take risks. Still it's unsettling for lots of reasons. Why did the forward curve suddenly flatten exactly when interest rates finally took off? Another interpretation is something like a Poisson process in the end of recessions, in which the chance of fast recovery is independent of how long you've been in a recession, rather than arriving slowly and predictably. That makes it rational to continue these expectations persist despite continual disappointment, and to change forecast quickly once the long-awaited fast growth arrives. 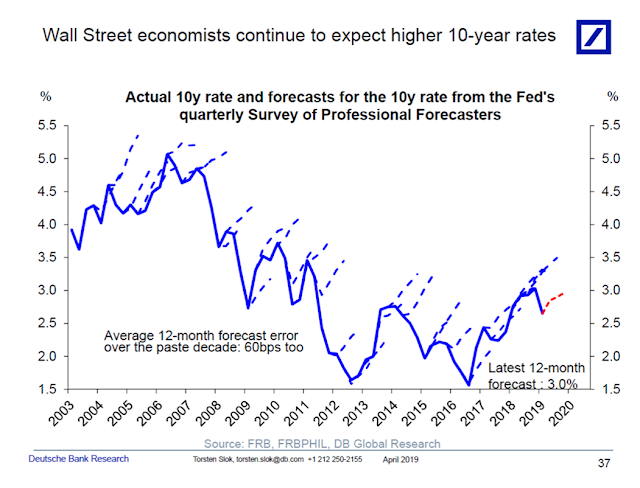 I guess a corollary to this post is that macroeconomists almost never predict a recession. I don't understand these forecasts. Are these forecasts based on what people _do_, or based on what they _say_? e.g., interest rate forwards are a very good measure of people's actual expectations of future interest rates. However, just ask people what they think and you'll get total nonsense, guaranteed. Is that essentially all you've found here? That if you ask people what they think, that's an extremely poor indicator of what's actually going to happen? Certainly, the theory of NGDPLT is that we target a forecast, but the forecast does _not_ come from asking people their opinion; it comes from looking at how they bet their money.